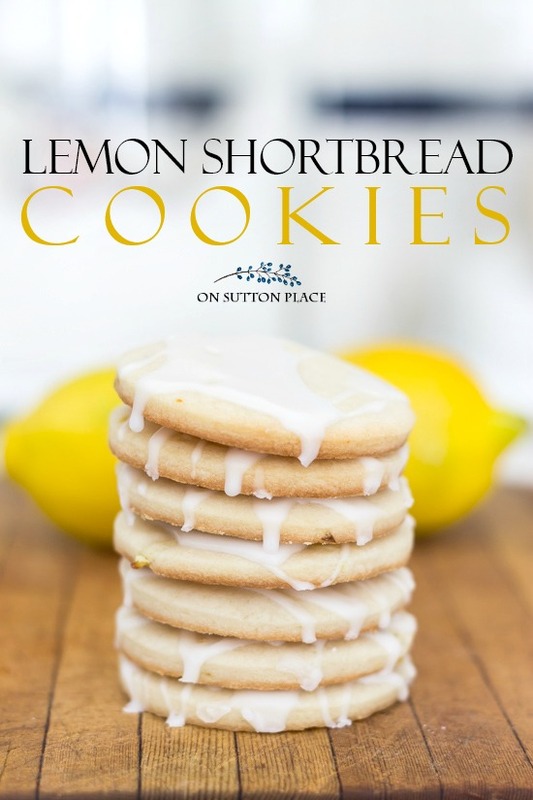 In this post: An easy recipe for Lemon Shortbread Cookies. A fresh lemon and sugar glaze tops off these lemon shortbread cookies. They melt in your mouth! When it’s too cold to go out, I head to the kitchen. This week I made what I lovingly refer to as “comfort food.” A pot of soup, banana bread and these little lemon shortbread cookies. During these long, cold evenings, I have been pouring over old cookbooks trying to find easy recipes with basic ingredients. 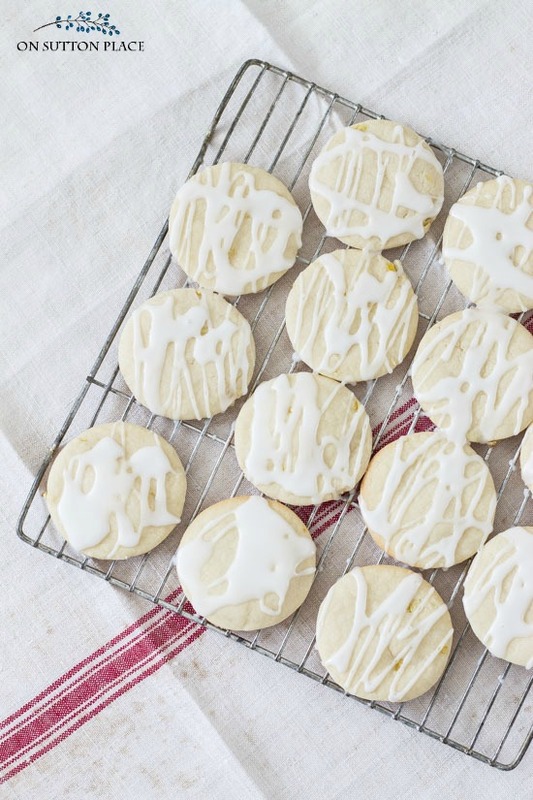 These lemon shortbread cookies are just that. You should have everything you need, except maybe the lemon, in your pantry. So add a lemon to your grocery list and you will be ready to whip up these amazingly good shortbread cookies! Lemon Shortbread Cookes Easy Recipe. A fresh lemon and sugar glaze tops off these lemon shortbread cookies. They melt in your mouth! Zest and juice the lemons. Set both zest and juice aside. Beat butter, sugar, salt and lemon rind until smooth. About 2 minutes. Add flour and blend well. Dough will look like very course sand. Add 1 T. lemon juice and beat just a bit more. Gather dough into a ball kneading just a few times so it holds together. Divide in half. Refrigerate dough for 10 minutes. Remove one section from refrigerator. Roll out to 1/4 in. thick. Cut out with cookie cutter. I used a 2 1/2 in. circle. Bake on ungreased cookie sheet for 6 minutes. Do not brown. Repeat process for second half of dough. Combine powdered sugar, milk and lemon juice. Stir well. Add more lemon juice or milk until the glaze is desired consistency. Using a 2 1/2 inch cookie cutter, I got about 30 cookies. How many cookies this recipe makes depends on how thick you roll them out and the size of your cookie cutter. The glaze is the perfect way to top off these cookies. I placed the shortbread cookies on my cooling racks with wax paper underneath. I started out by spooning on the glaze, but after about two cookies, I just picked up the bowl and drizzled it over the whole batch. I had them all glazed in less than a minute. If you want just a basic shortbread cookie, it would work to leave out the lemon peel and lemon juice from the cookie dough. 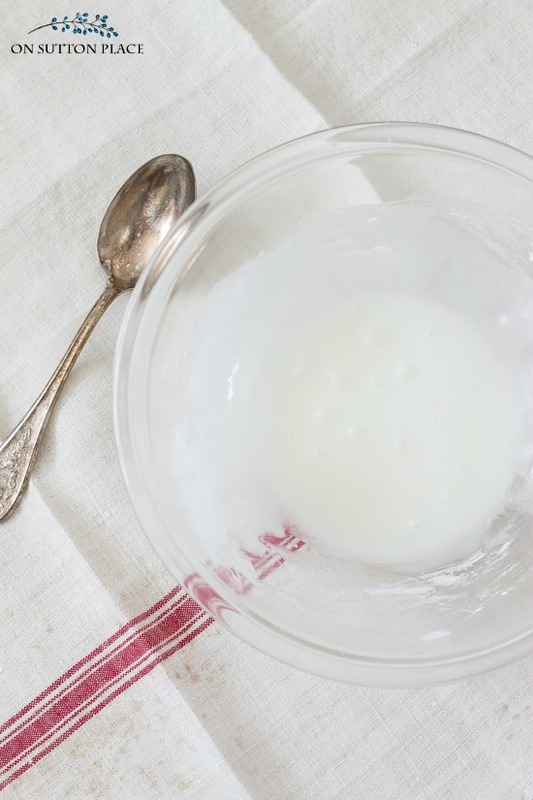 In place of the lemon juice, any kind of milk or cream could be substituted. *Affiliate links included. Click HERE for my complete disclosure statement. 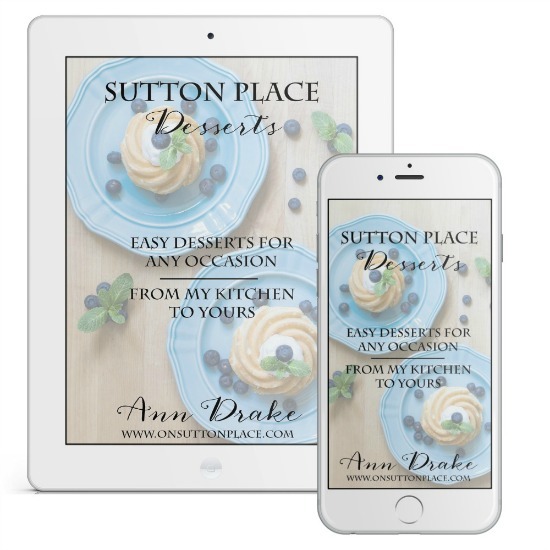 and get this free dessert eCookbook! Made your cookies today…so yummy and pretty. Not too sweet, just perfect with a cup of coffee for a mid-afternoon pick-me-up! Well…I love everything lemon! So, I did the ultimate test. I made 3 different lemon shortbread cookie recipes…one being this one. I made sure the other 2 were 5-star rated. Then, I invited some girlfriends and my boyfriend over for a taste test. Your cookies WON!!! HANDS DOWN. No contest really. They are Sooo melt-in-your-mouth good! I had undercooked one batch a little, but they were really good still…actually we couldn’t decide if we liked them better. Making the scones tomorrow for my Monday Morning Meeting at work. I’ll let you know how my coworkers like them…they are all foodies. Thank you so much for taking the time to let me know all of this…I loved it! I love anything lemon. These look delicious. Can’t wait to try them. Thanks for sharing the recipe. Love the tablescape ideas…especially the blue mason jars. Would you tell me more about the seat covers on your dining room chairs? I love that look. Also…plain flour on the lemon shortbread cookies? Hi Tanya…I covered the chair cushions myself with grain sack inspired fabric. I included a link to the fabric at the end of the post. And yes…regular flour in the cookies. Thank you! Have to try these tomorrow! Thank you! I really love these lemon shortbread cookies. Thanks for sharing this awesome recipe. I can’t wait to try these! Thank you for the recipe. Thank you for your wonderful Web site! I appreciate ALL your efforts to share with us! I’m looking forward to making these today. Any tips/techniques for rolling the dough out evenly? Rolling dough out just takes practice…in my humble opinion. Steady pressure on the rolling pin helps and a well-floured surface. I also turn my dough frequently and I think that helps too. Good luck! I think you’re right! It must take practice and then more practice! Thank you! Yum! Thanks Ann looks like another winner. Have a great Sunday! They look delish!!!! I will have to try them. I love anything that has a lemon flavour.???? thank you for such a wonderful recipe! I had some left over lemons, and I am tired of making bread. These cookies are tremendous. Just lovely! Made these today in heart shapes for Valentine’s Day. Colored the glaze pink. Delish! Anne, I got up this morning and made these. They came out great. Didn’t add the milk to the glaze just extra Lemon juice. Made two full dozen and my daughter is Almost through that. Thank you for the recipe, looks delish! I have been enjoying your site as I have been looking around, your photos are excellent . Love your projects and your lovely sewing skills…very inspiring. 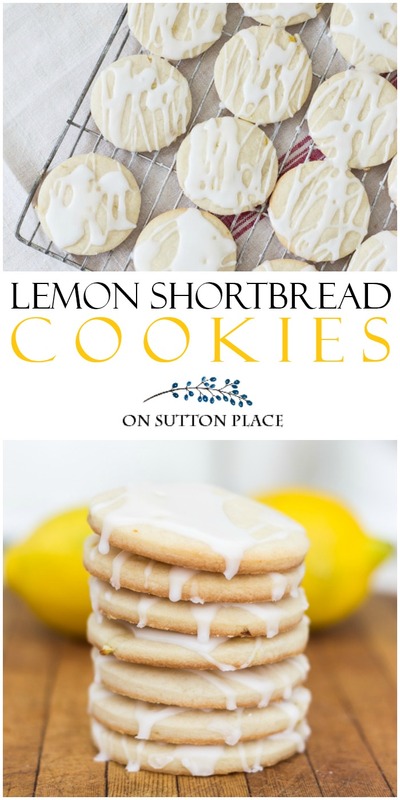 My 2 lemon trees are bursting with lemons right now and I love shortbread…so thanks for the printable recipe. I am so sorry for the deep freeze that is going on across the nation, as we are having unusual weather..warm and sunny and are now expect to have drought this summer. I was born here in California and cannot remember having such a warm December and January ever. Wish we could send some back east. Shortbreads have become my all-time favorite cookies. I love experimenting with the different ingredients you can use to make them. Your lemon shortbreads looks so yummy! I love talking lemon! I love talking shortbread! The combo has me swooning. I will be pinning and baking these! Ann, Your cookies are very pretty and sound delicious. I love your recipes. Lemon cookies mmmmmmmmmmm I could eat one right now with a lovely cup of tea. I shall make these tomorrow I think. Thank you for the recipe. MMMMMMMMMMMMMM – my hub’s favorite. I love your pics and the way you do a printable recipe, Ann. Isn’t this snow storm something? We’re staying in, too – warm and cosy. Take care. It’s real cold here too… I love the winter… The snow is so beautiful, plus I am retired and do not have to go out and drive in it. So now I just get to look at the beauty of the winter. I will make these cookies and bring them to my Mom’s and sisters for Super Bowl..
Have a warm and beautiful day. Ann, I love lemon in anything and I’m sure these are delicious! I’m pinning them so I can make them when I’m not dieting! :) We are having a deep freeze here in SC and we are not used to this. It’s supposed to be about 10 degrees tonight. Haven’t seen temps this low in a long time! My husband will love these he is a huge lemon fan. Thanks Ann!!! Thank you. I will be making these for my Sunday School class next Sunday. Lemon is my husbands favorite! And these look scrumptious! My husband loves shortbread cookies and these sound wonderful! Wow! Deep freeze you’re not kidding. Another day off from school for my grandkids here in Ohio, that makes four. Love lemon in everything, so your recipe is a treat. Planning to bake these tomorrow and enjoy them with a cup of tea during Downton Abbey Sunday evening.